Delicious meals at TASTY prices. At TJ’S Catering, we are proud to use locally sourced produce whenever we can. As well as a delicious menu full of hearty favourites, we pride ourselves on our friendly service and great value for money. 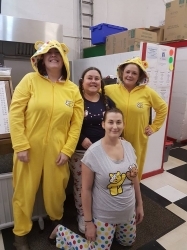 We are open from early in the morning to just after lunchtime, so place your order, take a seat and we'll make you something delicious to eat. Planning a party or organising a buffet? Then look no further than TJ’S Catering, as we happily deliver a great selection of our food right to your door. We also include plates and cutlery within this package, for a relaxed and hassle free event. Breakfast for Lunch or Lunch for Breakfast! 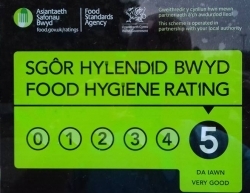 We are proud to have recently received the food hygiene rating of 5 in August 2017 , guaranteeing your food to all be freshly prepared and cooked within the premises. We are also under the strictest of cleanliness standards possible, for a service like no other. 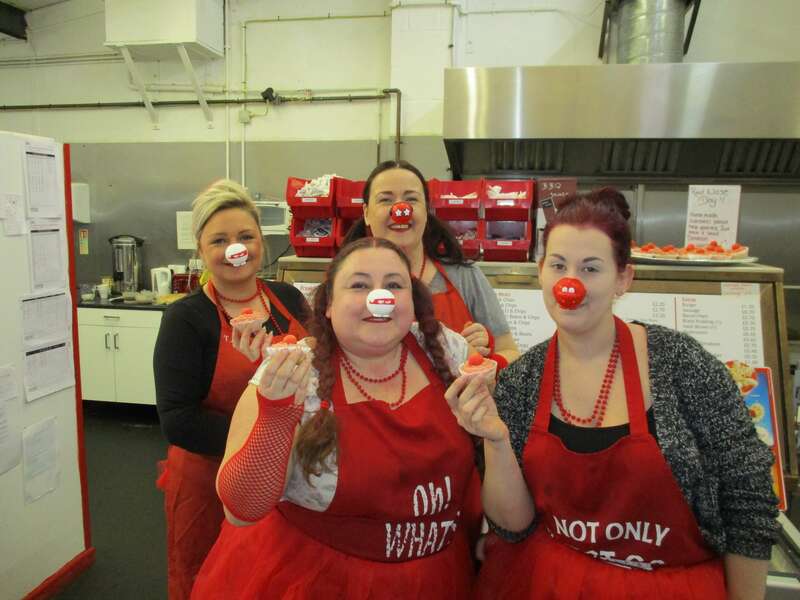 Here we're raising money for Red Nose Day, we dressed in red and made cupcakes and managed to raise £50! 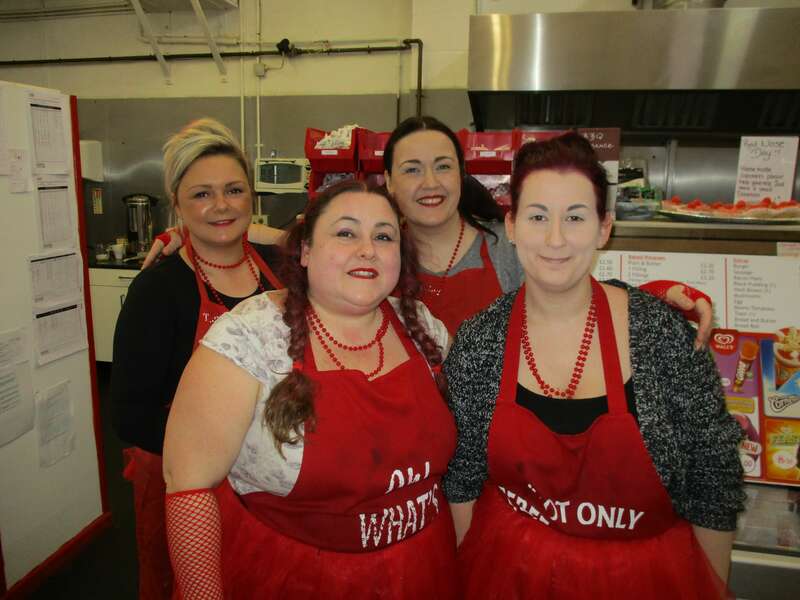 Call Us- For any further information or to get your buffet and party food organised, contact our friendly team today on 01633 489 839.